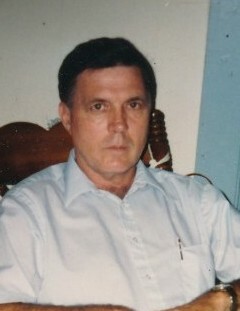 Mr. Thurman Edward Avery Sr., 74 of Dunn, passed away at his home surrounded by his family. Mr. Avery is survived by his daughters, Misty Avery of Dunn, Kimberly Avery Thomas and husband Jimmie of Dunn, brothers, James Avery of Oklahoma, Larry Avery and wife Shelia of Dunn, Gary Avery and wife Susan of Dunn, 7 grandchildren, and 2 great-grandchildren. Mr. Avery is preceded in death by his parents, Howard and Ruby Avery, daughter, Lisa Marie Avery, sister, Janice Avery, and brother Max Avery. Arrangements are a service of West and Dunn Funeral Home of Erwin, NC.